Now is the summer of my discontent. My body does not tolerate heat or sun, I’m not a “water person,” and the mosquitoes eat me alive. So, when the mercury rises, I start looking for things to do in the comfort of any dark, air-conditioned home. Here are a few of the shenanigans I’ll be undertaking until the sweet, sweet fall. My short story “Wren & Wood: Oak Moon” is featured on the Summer Reading Trail for the month of June. The Summer Reading Trail is a collection of stories from various authors in several genres. 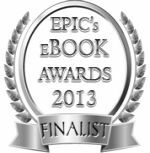 Offerings include short stories, deleted scenes, excerpts and novels. The one thing they all have in common is that they are free to read. 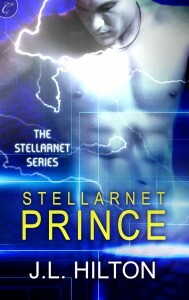 An excerpt of Stellarnet Rebel will be featured in July, and I’m going to post an excerpt of the next book, Stellarnet Prince, for August, a sneak peek prior to the book’s official release in November. Next weekend, I’ll be at ConTemporal in Chapel Hill, peddling my writing and my wares in the bazaar and appearing on a steampunk costuming panel with Sara M. Harvey. I won’t be in costume, but I’ll be discussing steampunk accessories and possibly a little history of jewelry and style trends in the Victorian Era. I’m a featured author in the Sizzling Summer Reads 2012 party, which runs July 1-31 on the Romance Reviews website. Visitors will be able to play games, win prizes, meet & chat with authors of various romance genres — supernatural, fantasy, mystery, and more. Throughout the summer, there will be special screenings of the movie Serenity across the globe, as part of the Can’t Stop the Serenity project. 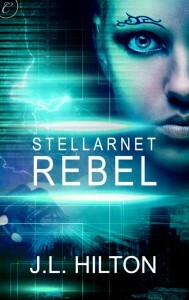 I’m a 2012 global sponsor, which means that downloads of Stellarnet Rebel and some cool swag were donated by my publisher Carina Press to every participating city. I will continue to contribute to the Contact – Infinite Futures SF/SFR blog, a gathering place for Carina Press authors who write military sci-fi, sci-fi romance, cyberpunk, steampunk and any other variation of science fiction. My scheduled dates are June 17, July 3, 15 and 31, August 12 and 28, and September 9 and 25. 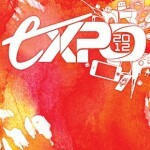 I’m looking forward to the Escapist Expo in September. Not sure yet whether I will be in the artist alley or just an attendee, but as a geeky event all about gaming, it sounds like a good market for my Stellarnet Series — and a whole lot of fun. I’ll keep you posted. I’ll be judging the “Geeks Got Talent” competition at the 4th Annual Charlotte Geek Gala on October 27. The Gala benefits Geekdom and also the Children’s Home Society of North Carolina, and will include live performances by Mikey Mason, trivia, photo costume contest, geeky goodie basket raffle, crazy games like Pin the Brain on the Zombie and Toss the Ewoks, free food and more. And finally, a feast for the heart, the stomach, and possibly a few other body parts… November 7, as part of the launch of Stellarnet Prince, I’ll be appearing on the Romance Cooks blog. This is a really fun website where romance authors share their favorite recipes and their novels — with hotness ratings from 1 to 5 chili peppers (the books, that is, not the recipes). I’m not sure what I’ll post, since Glin don’t cook their food, but I’ll come up with something! 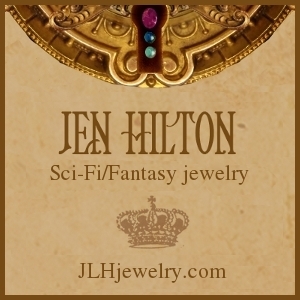 This entry was posted in Conventions & events, Fantasy, Free to read, News, Science Fiction, Steampunk, Stellarnet Rebel, Wren & Wood and tagged Charlotte Geek Gala, ConTemporal, Escapist Expo, Firefly, Free Reads, Serenity, steampunk, Stellarnet Series. Bookmark the permalink.